RCB skipper Virat Kohli has urged his side to remain calm in pressure situations after their seventh loss of the ongoing IPL season on Monday against MI. 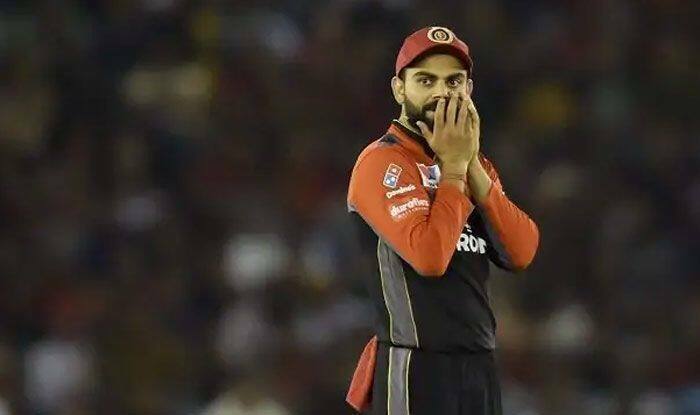 Having been inflicted with their seventh loss in eight matches of the ongoing Indian Premier League (IPL), Royal Challengers Bangalore are riling in pressure but skipper Virat Kohli believes his side needs to keep a calm head during pressure situations and take on the half chances to secure victory. Lasith Malinga delivered a sensational spell of fast bowling on his comeback to the Indian Premier League 2019 as he played a crucial role in Mumbai Indians clinical win over Royal Challengers Bangalore by 5 wickets. After Malinga’s brilliant four-for, Hardik Pandya smashed an unbeaten 37 off 16 balls as Mumbai romped to the 172-run target with six balls to spare at the Wankhede Stadium on Monday. Chasing a challenging total, skipper Rohit Sharma and opener Quinton de Kock powered Mumbai to a blazing start as the duo knitted an important stand of 70 runs in 7 overs. After a bit of stutter in the middle, Hardik played a brilliant cameo to win it for the hosts. Courtesy this victory, Mumbai have now won 5 out of their 8 matches and are currently placed at the third spot in the table. While Bangalore have lost 7 out of their 8 games and continue to languish at the bottom of the table. RCB pacers once again came with a below-par performance. In fact such was their performance that spinner Pawan Negi was preferred over the likes of Umesh Yadav, Mohammed Siraj and Navdeep Saini, to bowl the penultimate over of the match with MI needing 22 runs of the last two overs.